‘Beautiful’ is likely not the first word that comes to mind when you say ‘post-apocalyptic,’ but it’s perhaps the best way to describe Eagle Flight. 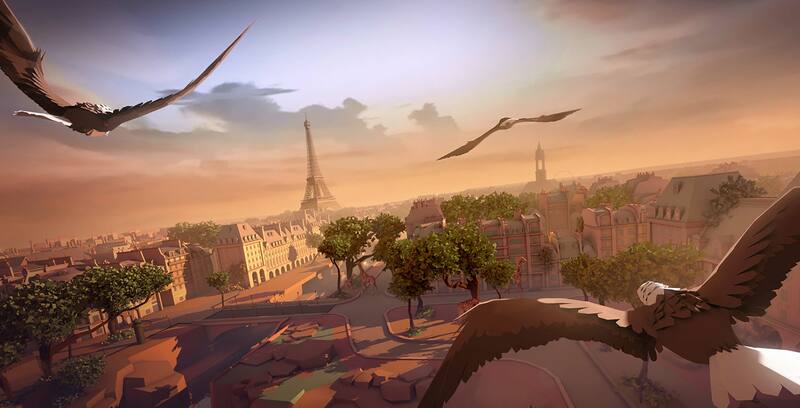 Developed by Ubisoft Montreal, VR game Eagle Flight is set in the city of Paris, fifty years after mankind’s extinction. Nature has reclaimed the city, with buildings, canals and trees all occupied by greenery and wildlife, such as the eponymous eagles. Controlling your eagle’s flight is incredibly intuitive thanks to simple head movement controls and the two buttons to control speed. Paris also has a very distinct look to it, looking like a vibrant water-coloured painting. The single-player mode consists of five different Parisian districts filled with one story chapter each. 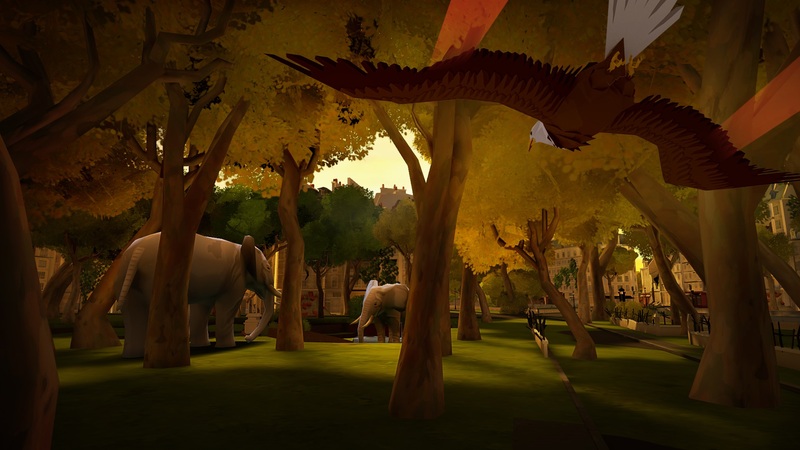 Early chapters have you soaring through landmarks such as the Eiffel tower and the Louvre museum. Later chapters, meanwhile, challenge you with races through numerous rings, all the while evading attacks from dangerous winged animals like falcons, vultures and bats. Flying through rings sure has come a long way since the much-maligned Superman 64. An English narrator voices all of these proceedings, too, lending a pleasant sort of BBC nature documentary feel to the whole game. You can freely explore the city at your leisure as well, discovering collectibles such as feathers and fish. There’s also a three-versus-three Capture the Flag-style multiplayer mode, wherein players are must seize a rabbit corpse and bringing it back to their nests. In this mode, you can attack opponents using sonic waves and defend with a temporal shield capable of deflecting attacks. It’s a surprisingly neat experience, encouraging teamwork between you and your avian allies. 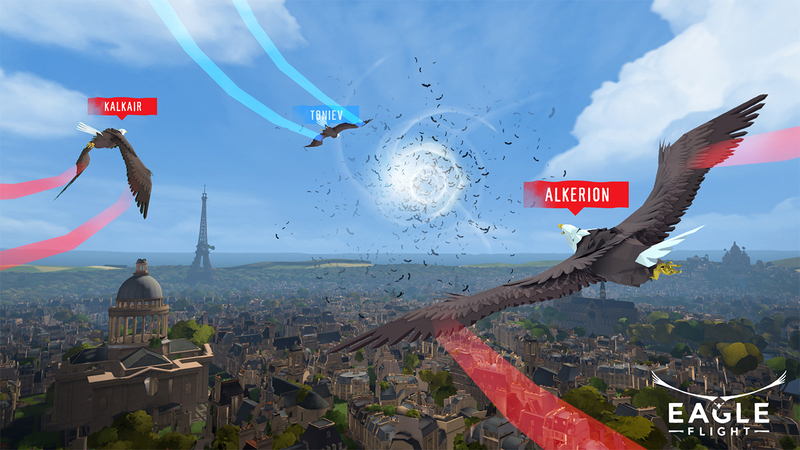 In many ways, Eagle Flight encapsulates what I love about virtual reality, offering engrossing, atmospheric game that takes you through a wonderfully realized world. It’s a little on the pricier side for a VR game, but it’s definitely a worthwhile experience. Eagle Flight is available for download on HTC Vive for $59.99 CAD, Oculus Rift for $45.99 and PlayStation VR for $53.49.